MAMA is a Clean, Flexible and Fully Responsive Minimal Portfolio WordPress Theme. Suitable for Personal Portfolio, Business, Corporate & Best for Creative lover. How MAMA WordPress Theme Developed? 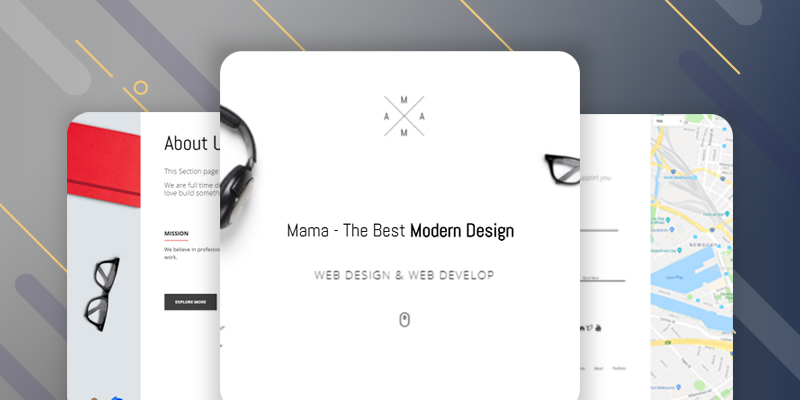 MAMA develop with Modern and Minimalistic Design. 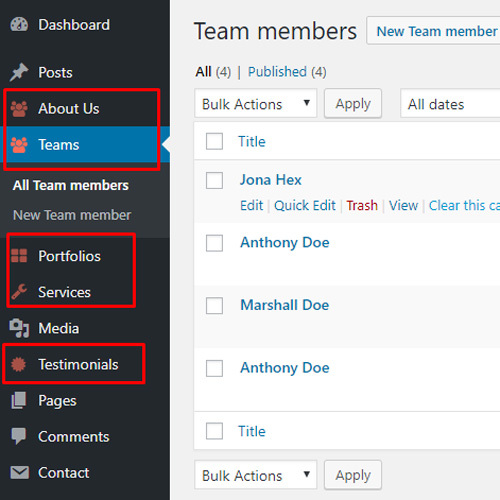 Powerful admin panel helps you to edit full Theme. You can start any type of small Business and Portfolio with this WP Theme. MAMA provide Full Screen Menu which open by clicking on 3 lines icon on top right. Enable and see this amazing feature from our Demo. Full documentation included into Theme folder which provide you how to work with MAMA. 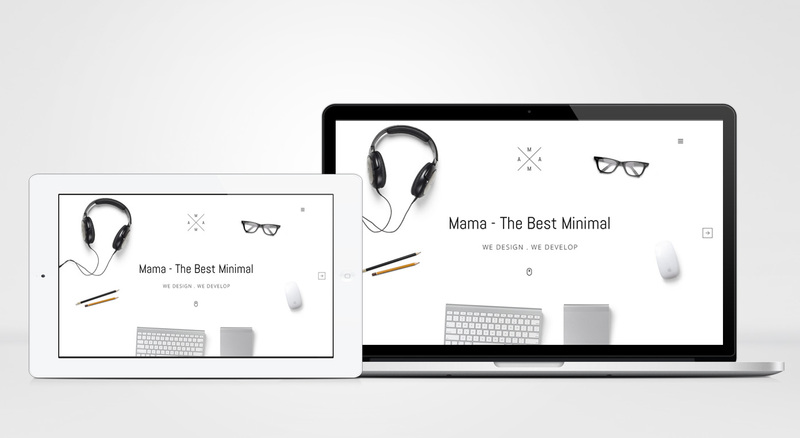 As a Portfolio WordPress Theme, MAMA is perfect for you. Creative Design and Idea make this Theme better. We always provide better support for you. MAMA is a very light Theme for creative business owner or personal portfolio Website. We have made this Theme responsive too. Tested it with our personal mobile, Laptop, iPhone, iPad. It's totally suitable for any modern browser or device. MAMA provide a Full Screen Menu. Anyone can find something easily with this type of menu. Set your "Home Page Menu" and "Blog Page Menu". If you forget to set menu then it won't work. MAMA Portfolio page develop with nice PopUp zoom effect. Hover Tooltip really makes it more perfect for user. 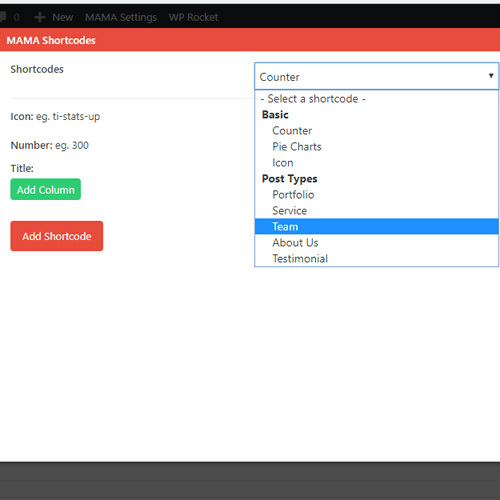 We provide a powerful ShortCode Generator into MAMA. You can add “Counter, Pie Chats, Icon” and can insert your custom post type where you need. 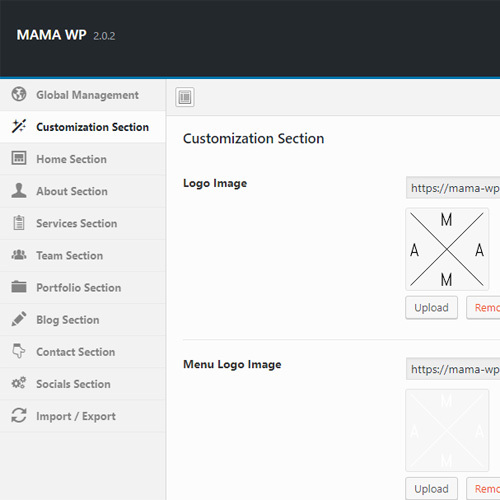 MAMA comes with 100% customization Theme options panel. Not only the logo but you can customize each and every part of your website with the Theme option. We have developed the Theme with some custom post type. You just need to add portfolio, team member like post. The section will be added automatically in the desired pages.